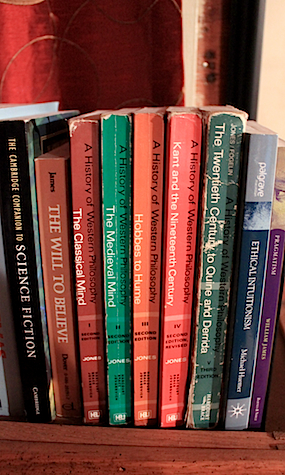 I too am reading the five volume series by Possessor Jones having already read Bertrand Russell, Will Durant, Jacob Bronowski and several other on this subject. 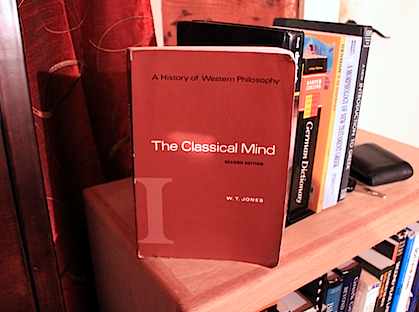 I and am very much enjoying the treatment by Professor Jones, especially the treatment in Volume II of the how the classical period ended and the really dark part of the ‘Dark Ages’ began. Surprised there is no discussion of Hypatia and the destruction of the Library at Alexandria by the Christian fanatics in 415 CE. I also could find little about Professor Jones online and appreciate the information that you posted here. 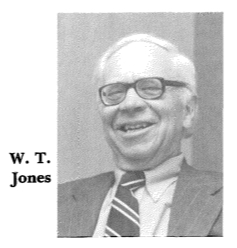 I worked for W T and Molly Jones for several years while they lived in Mt. San Antonio Gardens retirement community in Claremont, California, before he passed away and Mrs. Jones moved away. He was far from colorless, but amiable, super smart, intensely curious, and always in good cheer – enjoying life and the company of a great variety of people. How are Rand’s ideas of reason and freedom “noxious”?